﻿ Florida Snake Photograph 016 - The Brown Water Snake is a heavy-bodied aquatic Florida snake. 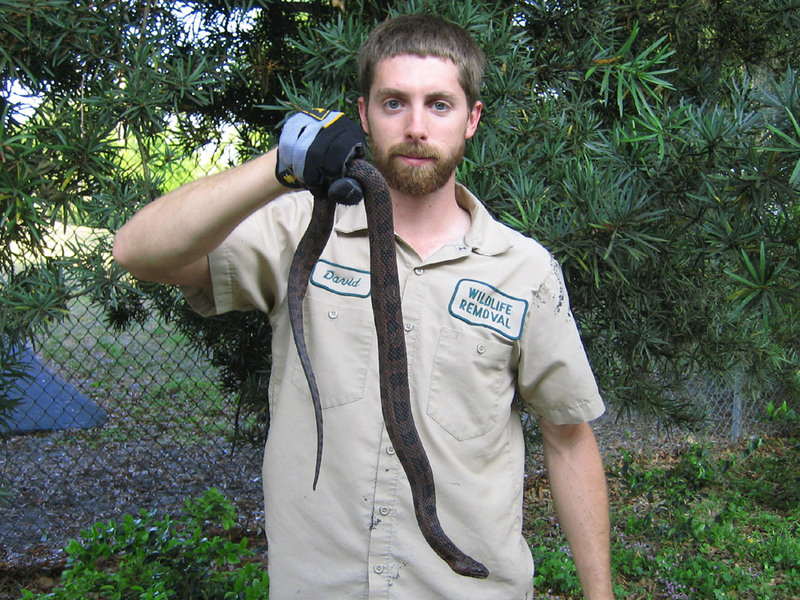 The Brown Water Snake is a heavy-bodied aquatic Florida snake. DESCRIPTION: A brown snake with black markings on its back, fat and well-suited for swimming. In the United States alone, there exists a wide variety of snakes. They are primarily identified as venomous or non-venomous. Each species carries with it habitat requirements, individual mannerisms, and unique features that collectively serve the big picture of the natural world. But how does one distinguish between two species when their characteristics seem to mirror each other? It usually requires closer examination to reveal small nuances in each species that will facilitate easier and more reliable identification. The brown water snake is one species that is too often subject to a case of mistaken identity. Its supposed doppelganger is the cottonmouth or water moccasin. At first glance, they do indeed seem identical. Both live and hunt in water and both are of similar size and coloring. Yet one is venomous (cottonmouth) and the other is non-venomous (brown water snake).